O’Learys is a sports themed restaurant. It is a franchise from Sweden. 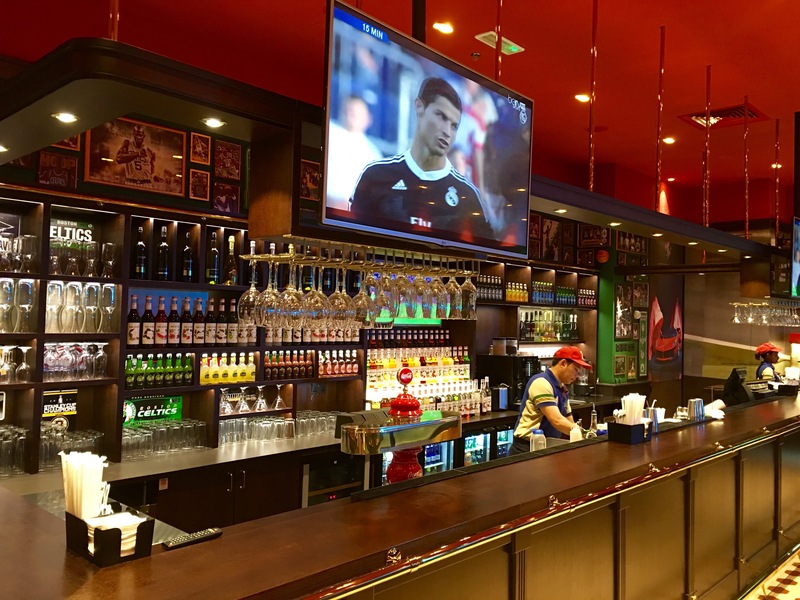 O’Learys recently opened it’s first branch in Fujairah. 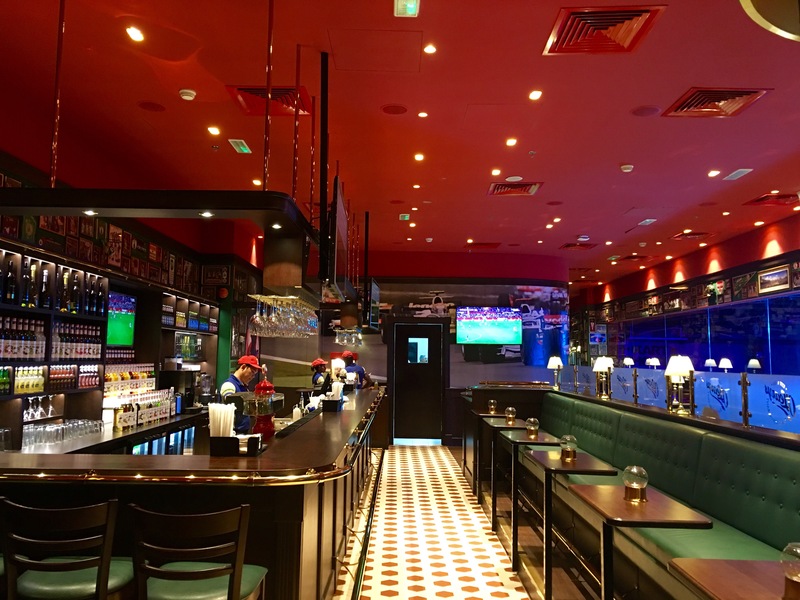 It is the first O’Learys branch in UAE and the Middle East. The brand is a franchise from Sweden, but the food and ambience is Bostonian,American. 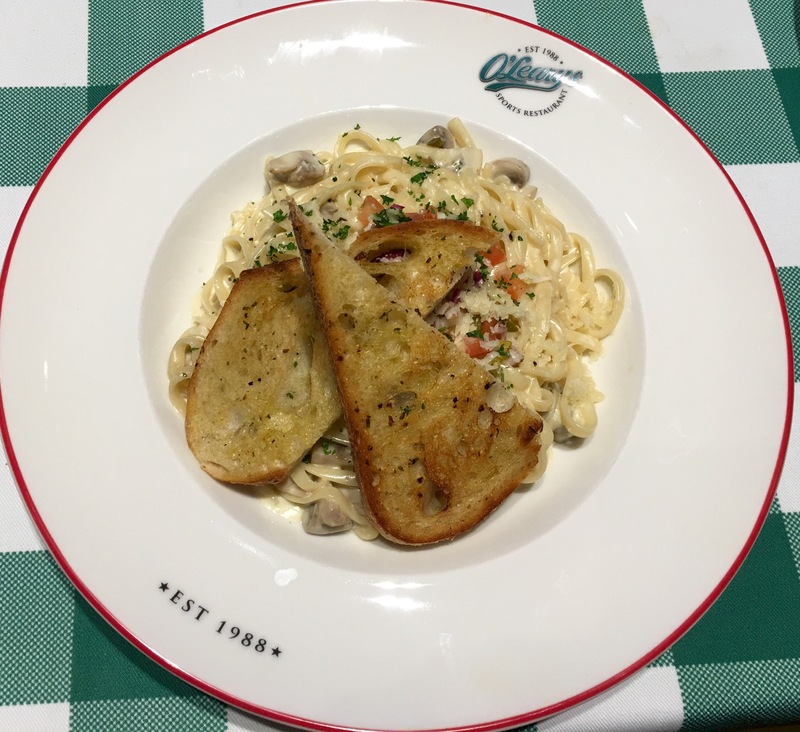 O’Learys is located at the Fujairah Mall. 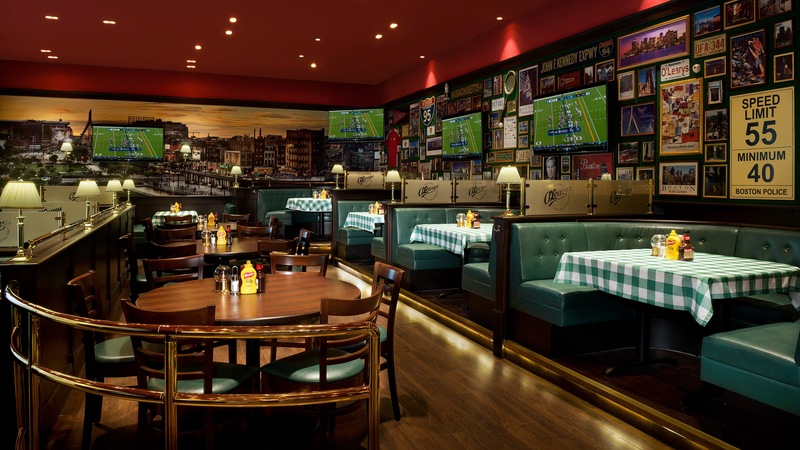 O’Learys is a great place for both food lovers and sports enthusiasts. The outlet is connected to an Indoor Go-Karting Area and Laser Shooting Gallery. 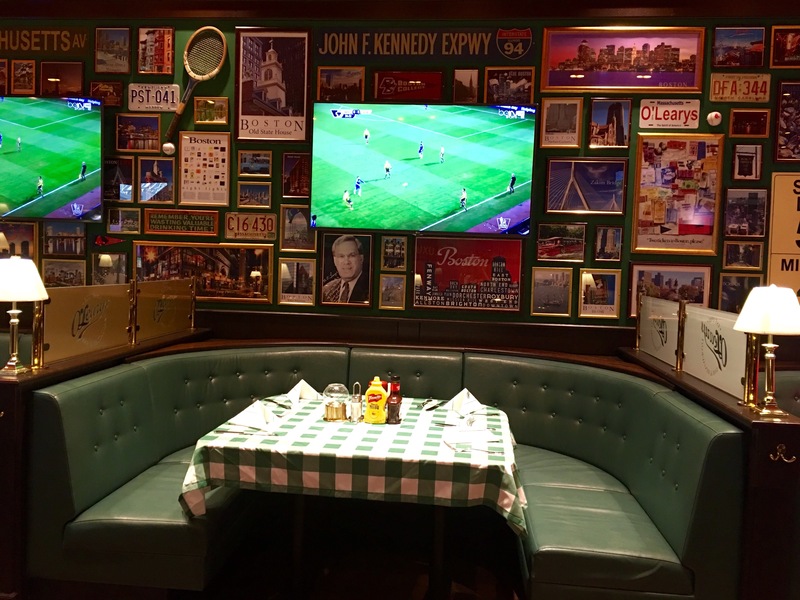 O’Learys is a spacious restaurant with American inspired decor. It has comfortable seating with custom-made deep green leather sofas and chairs. The red ceilings with bright lighting adds a classy touch to the place. It is a casual dining restaurant. The walls are covered with sports and Boston themed memorabilia. O’Learys is a great place to catch up on any sporting event, they have huge plasma TV on each and every corner of their walls. They also have a bar area- where they serve non alcoholic beverages. The atmosphere is lively and welcoming. O’Learys is a family friendly restaurant. It is a great place to dine with family or friends. The staff is friendly and helpful and the service is good. 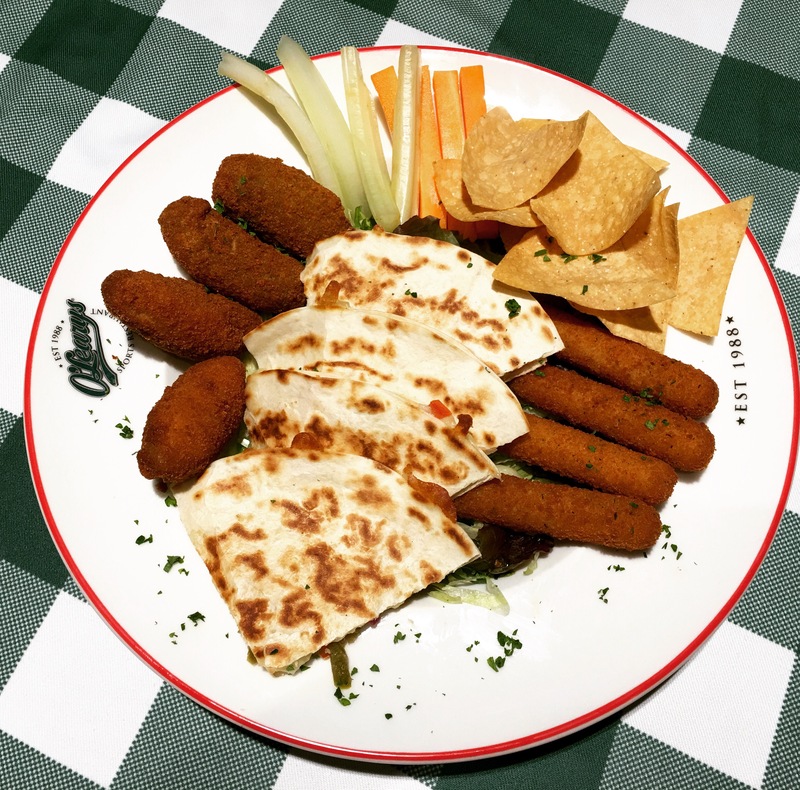 The menu offers most of the American Classics like Buffalo Wings, Burgers,Quesadillas, Steaks,Ribs,Nachos and many other dishes. The food menu offers wide range of choice for Salads,Starters, Sides,Grills, Main course and Desserts. 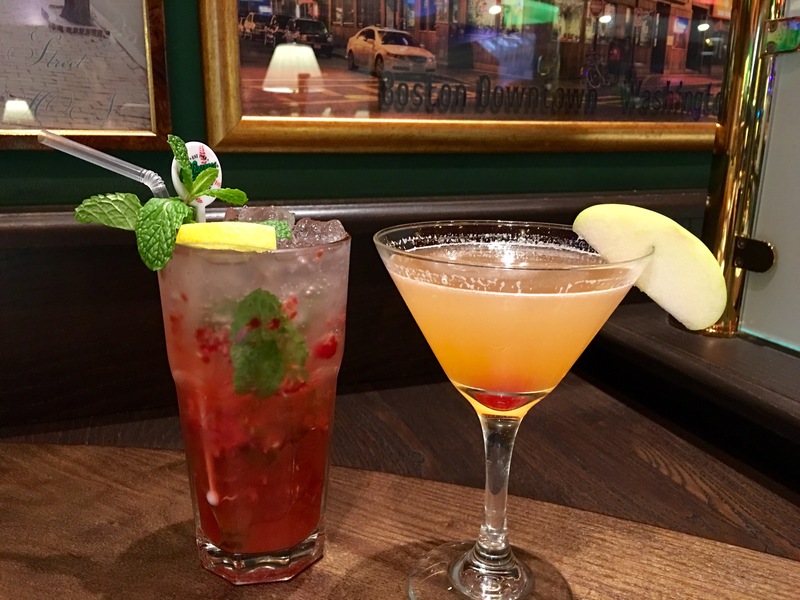 We started off with our drinks- Apple Cardamom and Raspberry Mint Lemonade. Both the drinks were tasty and refreshing. The Apple Cardamom had fresh apple and lime juice with cardamom syrup. The Raspberry Mint Lemonade had raspberries combined with fresh mint, lime juice and a splash of soda. O’Learys serves non alcoholic drinks. They have a separate menu for drinks. They offer Non Alcoholic Wines, Champagne and Beer. Their drinks menu also offers Fresh Juices,Soft Drinks,Mocktails, Milkshakes, Frappes,Iced Teas and hot beverages like Coffee and Tea. We were served complimentary Popcorn. 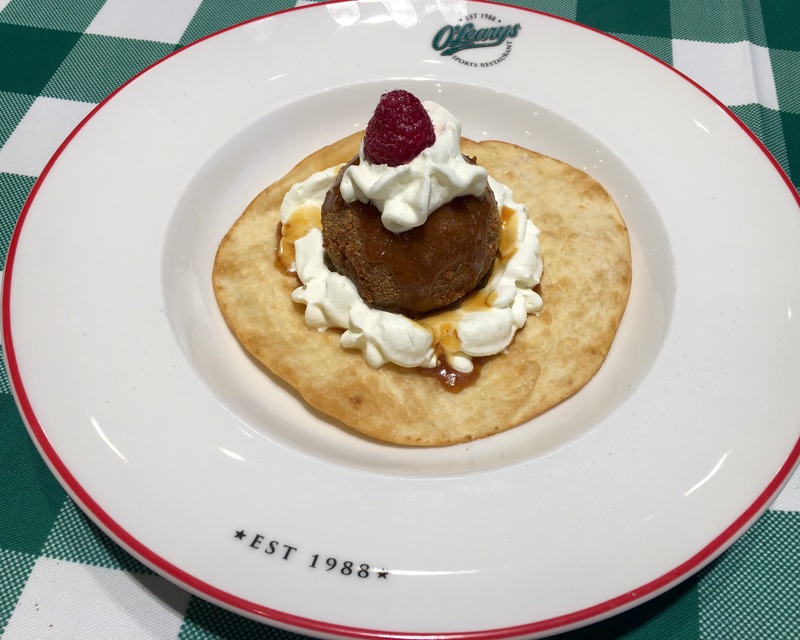 After that we ordered O’Learys Home Run Combo, Side Salad, Bowl of Fries, Fettuccine Alfredo Pasta and Mexican Fried Ice Cream. O’Learys Home Run Combo has a combination of 6 different appetizers. Perfect to share with 3-4 people. You get to choose the appetizers. As both my husband and I are vegetarian we ordered only the vegetarian appetizers. We had Mozzarella Sticks, Jalapeño Poppers, Veggie Crudités with a dip, Nachos and Classic Quesadilla. The quesadilla was served with guacamole, sour cream and salsa. All the appetizers were freshly made and tasted great. We especially loved the jalapeño poppers and quesadilla. They were fantastic. 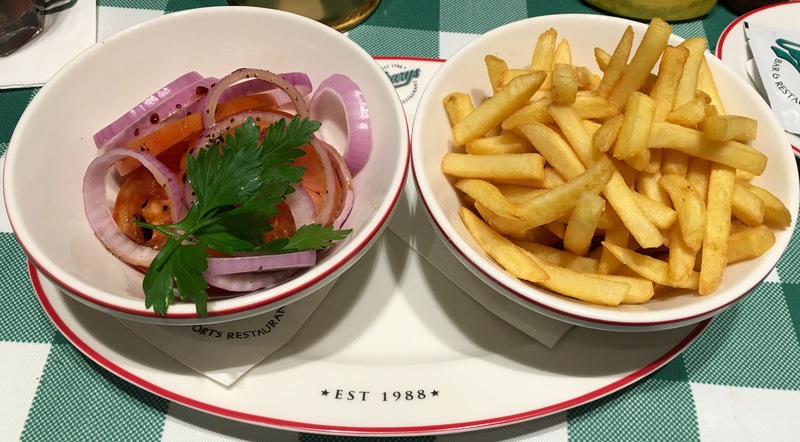 The Side Salad had vegetables like tomato, onion and parsley leaves with balsamic vinegar dressing. The Fries were the standard American fries that we get everywhere. Fettuccine Alfredo Pasta came with 2 slices of garlic bread. The Fettuccine pasta came with smooth, rich and creamy alfredo sauce. It was terrific. The portion size is big and it can be shared between two people. We had a wonderful dining experience. The ambience, the food, the service and the music is great. The pricing is reasonable. The portion size is generous. Next time would love to get my kids here. I certainly recommend O’Learys. Timings: 10AM to 12 Midnight-All the days of the week. Thanks Sneha 😊 I am glad you liked the review!